Single level 3bd/2ba home on a private location on 4.62 acres. Enjoy a total of 6 bedrooms and 3 bathrooms! The main part of the home is a 3BD/2BA single level home. With 3 additional bedrooms upstairs over the garage and separated from the main house. Great opportunity to make it a separate guest area, bnb, granny unit, or vacation rental (buyers to check/verify potential uses with the County). Home is ideally placed with plenty of open space to add anything you would likeâ¦pool, horses, a barnâ¦the choice is yours! Motivated seller and Priced to Sell! 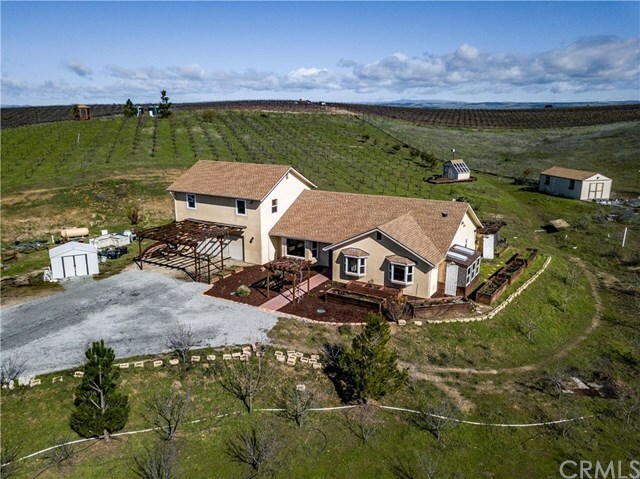 Make this your private country vacation retreat in beautiful Paso Robles!